Scottish Stained Glass is a unique stained glass process to design and manufacture custom-made high-quality leaded / beveled / stained glass windows of all shapes and sizes. Created from over 1000 different colors, dozens of glass textures, and hundreds of bevel and bevel cluster designs, your new window design is only limited by the extent of your vision, and your designers’ imagination. The process involves a combination of cutting edge computer design technology and traditional craftsmanship with techniques passed down through generations. This results in Scottish Stained Glass being the most beautiful and high quality stained glass you will ever see and all the work is done here in the USA. How did Scottish Stained Glass get its name? Trained in Scotland, Martin Faith brought his expertise to America over 15 years ago. Scottish Stained Glass is so named to bring to mind the beautiful colors and textures of Scotland. Does Scottish Stained Glass make stained glass for churches? Yes! Beautiful custom-designed windows with a choice of either vividly breathtaking colors or clear, elegant beveled glass. Scottish Stained Glass graces the windows of many churches. Does Scottish Stained Glass use other types of glass besides stained glass? Not all of our designs contain colored glass. In fact, 90% of the work we do utilizes clear textures and beveled glass pieces. Can Scottish Stained Glass customize any design in leaded glass, beveled glass, and stained glass? Yes, Scottish Stained Glass hires only the most talented artisans to create and produce windows inspired by famous designers such as Charles Rennie Mackintosh and Prairie Style. Almost any design can be incorporated into a Scottish Stained Glass window. What are the most popular types of leaded glass designs? For an example, some of our clients’ favorite window designs, please check out the gallery page on this website. Stained glass is individual pieces of glass cut to size and shape and joined together with lead in between the pieces. The glass can be either clear, clear-textured, colored, or beveled. Leaded glass and stained glass are basically the same, but leaded glass is more often used to describe designs which have no color. Beveled glass is clear glass (normally 3/16” or 1/4” thick) which is ground and polished around the edges to create the beveled edge around the exterior of the glass piece. This gives a prismatic appearance to the edges of the glass and can produce a rainbow effect when the sun shines through the glass. What is the difference of Scottish Stained Glass and regular stained glass? The designs which Scottish Stained Glass designers have created are influenced by a mixture of European and North American art and architecture. This unique world-wide perspective gives us a style which is distinctive to Scottish Stained Glass. How long does Scottish Stained Glass last? If cared for properly, stained glass should last forever. Many of our creations are destined to become family heirlooms. How does Scottish Stained Glass hold up to weather? In most cases, an additional piece of glass is installed to the exterior of the home to prevent any contact with the outside elements. However, even if it is not possible to install the glass this way then the weather should have very little effect on the leaded glass panel. Is Scottish Stained Glass energy efficient? In most cases, the stained glass is being installed without removing the existing glass. Therefore, the stained glass will add to the energy efficiency of the home. Which glass should I use in my design? Leaded glass, beveled glass, or stained glass? Scottish Stained Glass designers will create custom designs to match the interior decor of the home and will use beveled glass, colored glass, or clear textured glass to get the best overall result that meets the individual desires of the client. In some cases we will use all colored glass and in other cases we will use no color. Does Scottish Stained Glass protect interior furniture from fading? Possibly… some of the textures and colors of glass will reduce the amount of ultraviolet light coming into the room. Our sister company, Scottish Window Tinting has window films designed specifically to block the UV rays that cause fading. Does Scottish Stained Glass break easier than regular windows? No. In fact, the individual pieces of glass joined together with the lead will add some flexibility to the overall window and make it slightly more difficult to break than a regular, clear, annealed single-pane glass. How do I care for Scottish Stained Glass windows? Scottish Stained Glass require little or no maintenance. Simply spray a little glass cleaner on a cloth and wipe off any fingerprints. Use a feather duster every few weeks, or as required. Do not spray the windows directly as you will find it more difficult to clean them this way. Will Scottish Stained Glass increase the value of my home? Scottish Stained Glass works with many realtors who believe that stained and leaded glass is a wonderful investment for a home. However, many of our clients fall in love with their windows and decide to take them along when they move to a new home! Does Scottish Stained Glass work with builders on new construction homes? Yes! Scottish Stained Glass works with many builders and contractors on new construction and remodeling projects. Some of our home builders offer leaded glass windows as a standard feature of the home sale. Others offer the leaded glass as an optional extra. All agree that the addition of leaded glass makes the home easier to sell and more appealing to the prospective home buyer. 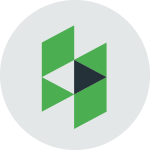 This allows the home builder to stand out in the crowd. 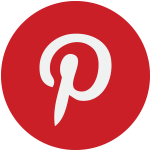 What services does Scottish Stained Glass provide to interior designers / interior decorators? Scottish Stained Glass designers work side-by-side with professional interior designers and decorators to the benefit of our mutual clients. 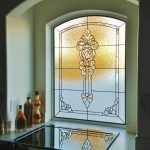 By incorporating our leaded glass designs into the overall design package, we are able to increase the customer satisfaction level and improve the status of the designers/decorators we work with. What shapes and sizes of glass are available? All shapes and sizes of glass are available as we create custom designed windows ranging from a few inches up to 36 square feet in size. Anything larger than a 36 square foot panel can be produced in sections. Can I order Scottish Stained Glass from out of state? Yes! We can ship anywhere in the contiguous United States. We have thousands of clients who live all over the country. Our clients come to us from all over the United States because of our unique designs and the quality of our manufacturing. Many of our repeat clients tell us that they simply can’t find anything close to the same quality anywhere else. Can I incorporate Scottish Stained Glass in the new home I am building? Absolutely!! Even during the first phases of architectural design, our artisans and designers are happy to work with the home builder and/or buyer to help create a custom window for a new home. I am currently remodeling my home. At which stage in the process should I start designing some glass for the project? 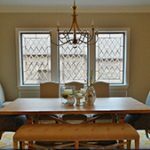 It is beneficial to incorporate your new Scottish Stained Glass window into your home design as early as possible; however, we can work with the home builder/ buyer at any state of construction, even after completion. Can Scottish Stained Glass design in the style of Charles Rennie Mackintosh? Yes, some of Scottish Stained Glass’s most popular windows are inspired from the great imaginations of world-famous architects Charles Rennie Mackintosh and Prairie Style. Can Scottish Stained Glass design prairie style glass creations? Yes. Scottish Stained Glass has over 20,000 unique custom designs in our computer database and several hundred of these are in the prairie style. Is Scottish Stained Glass made in the United States? Yes, all of our artisans live in the local area. Scottish Stained Glass creates both simple and complex designs to suit any budget. The cost depends upon the complexity of the design and the size of the window, not the color or texture of glass used. Please call our office with the size and shape of your window for an estimate. Can I block out the sunlight by installing Scottish Stained Glass? As stated above, a darkened colored glass window can reduce ultraviolet rays, protecting furniture and diminishing the glare of direct sunlight. Does Scottish Stained Glass provide privacy? 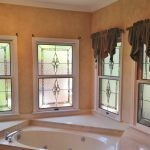 Yes, many clients buy leaded windows for the express purpose of providing privacy in entryways and bathrooms…or anywhere else that privacy is desired. The amount of privacy afforded depends upon the type of glass chosen. What warranty does Scottish Stained Glass offer? Does Scottish Stained Glass replace the existing glass when installing leaded glass, beveled glass, and stained glass? Normally the existing glass is not removed and the leaded glass is simply bonded to the clear glass, with the leaded glass on the inside of the home. However, in some cases Scottish Stained Glass will replace the clear glass if the clear glass contains any cracks, blemishes or grids / mullions which may have a detrimental effect on the design. How many years of experience does Scottish Stained Glass have? Scottish Stained Glass has been in business since 1991 but the combined experience of all our employees is over 400 years! Can I take my Scottish Stained Glass with me when I move to a new home? Yes!! And you will want to! 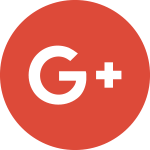 We will be happy to assist you in removing and transferring the glass to your new home. Does Scottish Stained Glass stain the glass themselves? The glass is colored during the manufacturing process and is received by Scottish Stained Glass in an already colored state. The color is all the way through the glass, and is not “painted” on. Therefore, the color will never fade. Can Scottish Stained Glass be hung in a window? Yes. Many of our clients order leaded glass in frames which can be hung as a decorative addition to any room. Does Scottish Stained Glass design and manufacture etched glass? 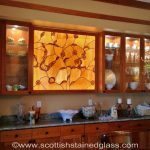 Are Scottish Stained Glass products better than what I can get at Home Depot? Home Depot and other such stores do not offer custom designed windows and doors. If I decide to install more windows after my initial order, do I qualify for a discount? No, but you will have our undying love and devotion. What do I get if I refer my neighbor to you? More hugs and kisses than you can possibly imagine…from your neighbor. Is Scottish Stained Glass from Scotland? Our owner and founder, Martin Faith, is originally from Scotland. Many of our design ideas are influenced by European architecture. The glass itself is mostly manufactured in the US and the leaded panels are fabricated locally by our employees. How many colors of stained glass are there? Over 1,000 colors of stained glass are available. What is the smallest window Scottish Stained Glass can do? The smallest piece that we have ever created was 6” x 6”. 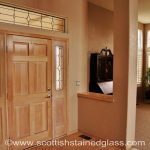 Can my Scottish Stained Glass be installed for me, or do I install it myself? In almost all cases, Scottish Stained Glass will come to your home and install your glass for you. For clients living outside Colorado and Texas, we have a network of installers. For clients who wish to install the glass themselves, we have produced installations video to demonstrate the process. Does Scottish Stained Glass have a showroom available? Please contact your local Scottish Stained Glass office and ask for information. Does Scottish Stained Glass ever have a sale or discount on glass products? We offer such incredible value for your money that it would be almost impossible for these exceptional prices to get any lower! Can Scottish Stained Glass repair broken windows? Yes, please contact your nearest office for details. What is the maximum size of a window produced by Scottish Stained Glass? Scottish Stained Glass can produce any size window; with each panel being as large as 36 square feet. What is the minimum order amount when purchasing from Scottish Stained Glass? $500 is our minimum order. How many Scottish Stained Glass designs do you have to choose from? We currently have over 15,000 designs in our computer database and we are adding new designs daily; however, we can custom make any kind of design. Do you display your leaded glass, beveled glass, and stained glass at home shows? Yes! Please check this website for a list of upcoming shows. The time varies depending on the complexity of the design and whether any custom bevels or glass will used. 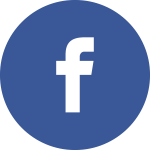 Our designers will provide a time frame estimate during the design consultation. 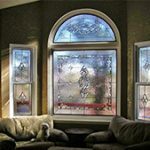 Does the trim come off when Scottish Stained Glass installs leaded glass, beveled glass, and stained glass? No. Normally our installers leave the existing trim on and around the window and bond the leaded glass to the clear glass. 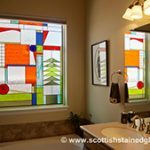 Can I use Scottish Stained Glass in my bathroom? Yes. One of the most popular applications of Scottish Stained Glass is to create beautiful leaded designs that give privacy while still allowing the natural light to come into the bathroom. Can I use Scottish Stained Glass in my shower? Yes, but the stained glass must be protected by clear, tempered safety glass to prevent accidental breakage. Can Scottish Stained Glass design and manufacture hexagon, octagon, trapezoid, arched, circular, designs or other shapes of leaded glass, beveled glass, and stained glass? Yes! Any shape or size can be manufactured. Can I use leaded glass on my french doors or office doors? Yes. Some french doors and/or are split into several mullioned smaller windows which is a typical application of Scottish Stained Glass. 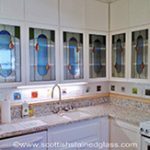 Will Scottish Stained Glass look good on my kitchen cabinets? Yes! 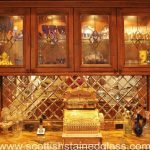 Scottish Stained Glass in kitchen cabinets looks absolutely superb! Are transom windows a popular application for leaded glass? Yes, many of our clients have custom ordered beautiful transom windows to enhance the beauty of their homes. This makes a more unique decorative statement than an ordinary mini-blind. Will Scottish Stained Glass give more privacy to my entryway? Yes, depending on the type of glass used, as much or as little privacy as the homeowner desires can be produced. Are sidelights the most popular application for leaded glass? Yes, in addition to providing an appealing welcoming statement, front door sidelights can prevent door-to-door salespeople and other solicitors / nosy neighbors from taking a peek inside your home. 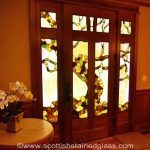 Can I apply Scottish Stained Glass in a grape and leaf design on my wine cellar door? Has Scottish Stained Glass installed leaded glass, beveled glass, and stained glass in any hotels? Yes! While we have completed dozens of hotel installations across the country, we are most proud of the Hotel Boulderado Stained Glass Ceiling restoration. Can Scottish Stained Glass make my basement window wells more attractive? Yes, believe it or not we can make basement window wells look attractive! Does Scottish Stained Glass offer holiday and / or gift certificates / gift ideas? Yes. Scottish Stained Glass gift certificates are the ideal gift for all your special occasions. Does Scottish Stained Glass have many different Celtic designs to choose from? 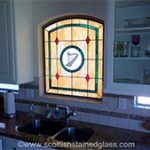 Yes, our Scottish background brings with it a love of all things Celtic (except possibly bagpipes at close quarters) and we happily will incorporate these designs into your custom stained glass window. Yes, but more correctly the Thistle is the national “weed” of Scotland. Can Scottish Stained Glass design mountain scenes? Yes, any kind of design is possible! Will leaded glass poison me? Do not lick, chew, or eat your leaded glass windows and you will not be poisoned by your leaded glass. Is Scottish Stained Glass hiring employees? Scottish Stained Glass is an expanding company and has positions available from time to time. Do you still have questions? 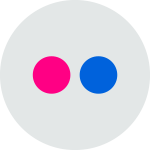 Click here to Ask Us?